After a successful visit last month, Marie Macklin CBE was excited to return to Belfast for an extended stay to progress discussions with education, community leaders, politicians, business people and investors about bringing the HALO urban regeneration concept to Belfast city. 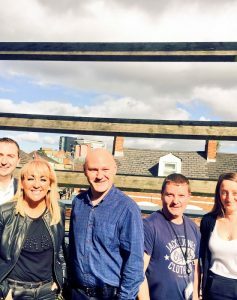 This was an excellent opportunity for Marie and the HALO Belfast team to visit potential sites, tour new areas of the city and further develop their understanding of the city’s needs. Thanks to Gerry Carlile for creating such a fruitful trip and for playing a key role in connecting the team to the people of Belfast. It was a busy few days in the city. 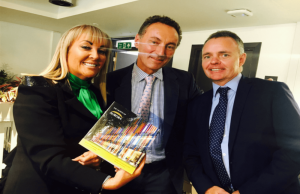 Marie was invited by David Gavaghan, Chair of CBI NI, to the official launch of the £50m Aurora Prime Real Estate Fund. This new multi-million pound property fund has been created to address the lack of Grade A office supply in Northern Ireland. David is the founder of the fund and the event brought together some of Belfast’s most forward-thinking business people. 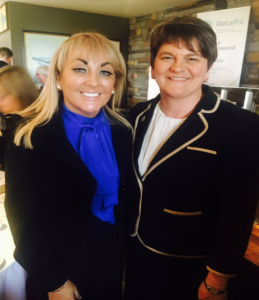 Marie also attended the 2nd annual Women in Business Northern Ireland (WIBNI) Chair’s lunch. The WIBNI is the fastest growing business network for female entrepreneurs & business leaders in NI and the lunch celebrated the launch of Charter Mark Northern Ireland. This new initiative enables organisations in Northern Ireland to apply for a Charter Mark which will recognise commitment to and progress on gender diversity. 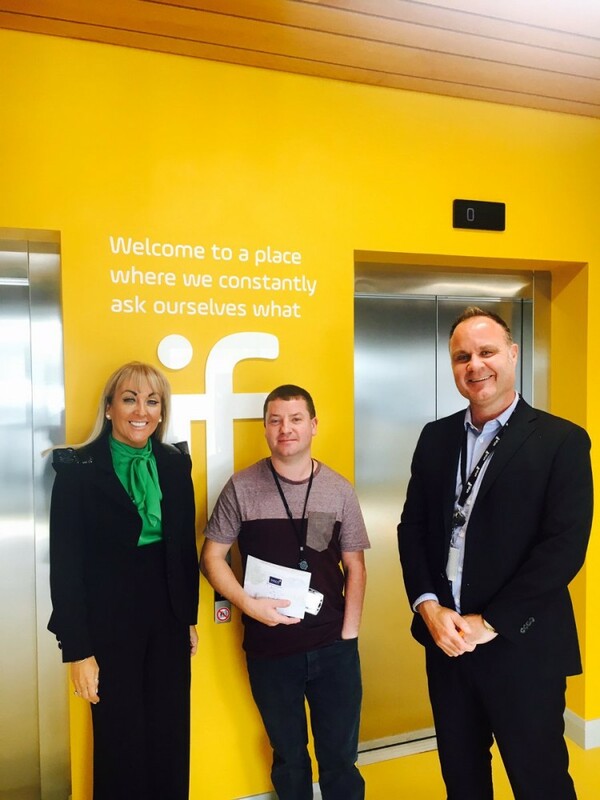 A visit to the new Innovation Factory provided an inspiring location to learn about the digital revolution taking place in Belfast and see first-hand the regeneration of the former Mackie’s Foundry into a centre of excellence. The team undertook an informative tour of West Belfast hosted by Paul Massey MP and Belfast City Councillor Ciaran Beattie and Shane Smith from the Innovation Centre. The visit provided a fascinating opportunity to listen and learn with other community leaders about their aspirations for West Belfast at the heart of the community. A catch up with Vice Chancellor / President Paddy Nixon & team at Ulster University to gather information on the fantastic growth of their first class education programmes for various sectors, discussing ways that HALO Belfast could partner with the University. Also viewing the progress of the construction of their fantastic new Campus. The week closed with return visits to two fantastic local businesses Nora’s Palace and Al Gelato.